Since this was over 20 years ago I don’t remember a whole lot other than the Board Walk Hotel (where we stayed) was AMAZING, it was really neat being able to walk around Disney without parents for the first time, discovering things I remembered from my childhood visits in the late 80s was absolutely fascinating, and that I loved riding the boats and monorails everywhere. This probably began my interest in living in walkable areas with public transit - something I hadn’t experienced in the suburbs of Florida or Georgia. View from our hotel room of the Swan and Dolphin hotels. Almost all my traveling experience up to this point had been to see family and staying in their homes. I had never stayed in a big hotel like this in my life and was blown away. 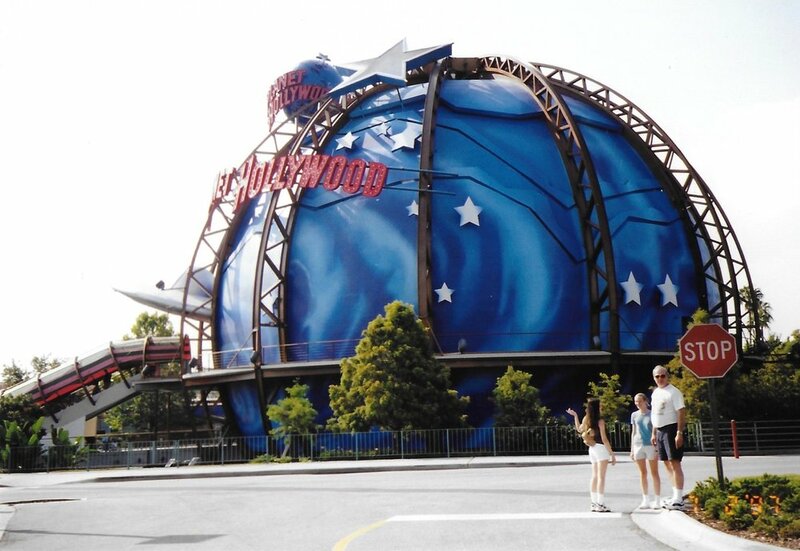 I remember walking through all the hotel lobbies along the board walk at night with my family and feeling like they were so amazing, huge and never ending! I remember being very disappointed that the 20,000 Leagues Under the Sea: Submarine Voyage was no longer running since I had great memories of that from my childhood. 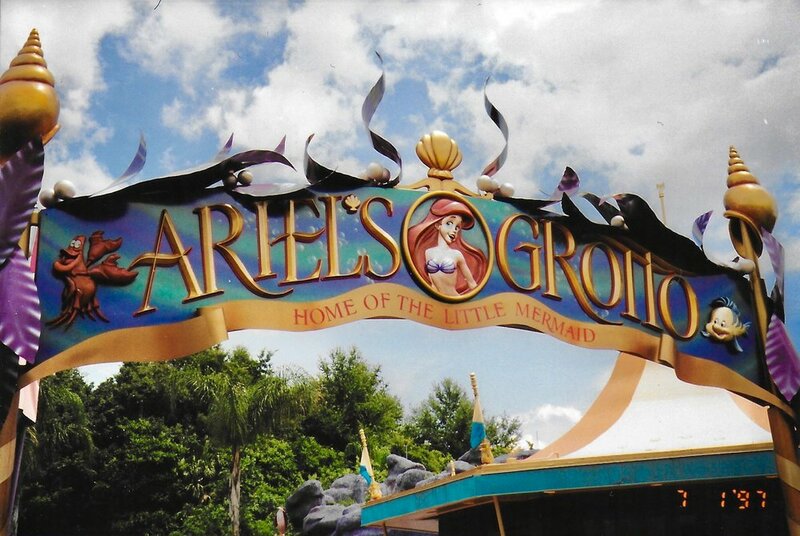 They now had Ariel’s Grotto near the water area which was cool, but the 20,000 leagues water was still there as if the attraction might open any minute… which drove me bananas. I wanted to ride it again so much!! It’s neat to see old fantasy land in these photos and the older version of the castle hub area. It’s amazing how much everything has changed in those areas!!! I also remember being SO impressed by Epcot since I had great desire to travel and the world showcase seemed so real to me at the time. Being able to walk into Epcot from my hotel and catching a monorail to the Magic Kingdom was amazing. One last fun note… I recently discovered looking through old photos that my husband was at Disney World at the SAME TIME I was!! How crazy is that?! I wonder if we were ever near each other or on the same rides at the same time… :) We wouldn’t cross paths again for 9 more years.